Stephen Walsh QC practises as a mediator, arbitrator and facilitator. He has a national reputation in the area, regularly undertaking alternate dispute resolution across Australia. He has conducted in excess of 2,000 mediations since 1993. He mediates disputes in all fields, including commercial disputes, insolvency, insurance, building and construction, equity, common law, professional and product liability, defamation, deceased estates, adminstrative law and local government. Stephen also undertakes arbitrations and is a Grade 1 arbitrator (IAMA). He also conducts expert determinations, and has a particular interest in other novel or hybrid forms of ADR, particularly in cases of continuing commercial relationships and also outside a litigation context. In addition to his ADR practice, Stephen has regularly appeared in superior courts across Australia in most areas of civil law. Stephen was admitted in 1973 and appointed Queen’s Counsel in 1991 and has chambers in Sydney, Adelaide and Darwin. Stephen is a member of the NSW Bar Association, the South Australian Bar Association and the Law Society of South Australia. 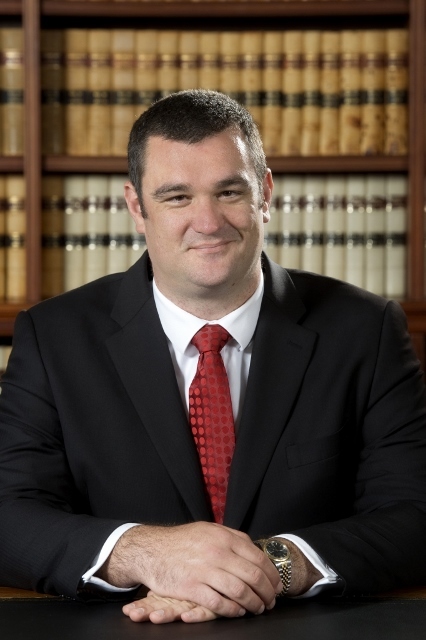 Scott Henchliffe SC was admitted as barrister and solicitor in 1991 and has practiced solely as a barrister since 2004. He joined Edmund Barton Chambers in 2005 and was appointed Senior Counsel in 2016. Scott practices primarily in the areas of criminal law, disciplinary proceedings and civil litigation. His civil practice includes administrative law, coronial inquests, insurance, occupational health and safety and professional negligence. Scott has a significant appellate practice. Scott was recognised in the 2017 and again in the 2018 Doyle's Guide as a recommended senior counsel practising Criminal Law in South Australia by the state's Criminal Law solicitors and fellow counsel for his expertise and abilities in the area. Stephen Apps signed the Bar Roll in 1987. Having joined the South Australian Bar in October 2003, David Crocker’s practice is predominantly in the Supreme Court in wills and estate matters, elder abuse and other issues arising in aged care, including acting as counsel for litigation guardians of elderly people. In 1996 he was Associate to Justice Duggan and was admitted to practice after completing articles with Mallesons Stephen Jaques (as it then was) in Melbourne in 1997. Since 2016 David has been recommended by Doyle’s Guide and in 2018 he was recommended as pre-eminent junior counsel in South Australia for his expertise and abilities in wills and estates litigation, disputes and contested matters. He is currently enrolled in a LLM (Wills & Estates) program through the NSW College of Law (expected to complete 2019). David has been briefed by the Mullighan Inquiry into Children in State Care Commission of Inquiry and also for the APY Lands Commission of Inquiry into Child Sexual Abuse on the APY Lands. Experienced in probate actions, inheritance family provision claims, trusts and equity, David is a member of the Succession Law Committee of the Law Society of South Australia. David also is a South Australian branch member of the worldwide professional organisation of the Society of Trust and Estate Practitioners (STEP). Tony Hurren is a barrister of the South Australian Bar. Chad Jacobi is a barrister practising principally in public law (including consitutional, employment, planning and professional discipline) and criminal law (particularly regulatory crime). He has particular interest and experience in appellate work and in inquiries. He practises in Adelaide as a member of Edmund Barton Chambers and in Darwin, as a Visiting Counsel of William Forster Chambers. He was in 2016-17, junior counsel to the Solicitor-General for the Northern Territory acting for the Northern Territory Government and its employees in the Royal Commission into Protection and Detention of Children in the Northern Territory. In 2015-16, he was the Counsel Assisting the South Australian Nuclear Fuel Cycle Royal Commission. He was in 2005, the Solicitor Assisting the Kapunda Road Royal Commission. He has been separately briefed in 2018 in inquiries conducted by Victorian and South Australian independent statutory officers. He is regularly briefed to advise, and act, for government. He has extensively prosecuted and defended regulatory prosecutions, and has particular experience in WH&S and other similar general duty schemes. Prior to joining the independent bar, he was employed in the South Australian Crown Solicitor’s Office. In its Crown Counsel Section from 2010-2015 he undertook counsel work primarily in constitutional, administrative law and criminal cases in the Full Court of the Supreme Court and before single Justices, and as a junior counsel to the Solicitor-General for South Australia in the High Court. He was admitted to practice in 2001, and at the conclusion of his role as Associate to Chief Justice Doyle was employed initially as the Research Assistant to the Solicitor-General, and then as a solicitor within its Advising and Administrative and Environment Sections. He has first class honours degrees in law (1999) and in economics (2000). He was a recipient of the Adelaide University medal (2000). His book on statutory interpretation Interpretations Acts: Origins and Meaning was published by Thomson Reuters in January, 2019. He is the co-author of the chapter on Commonwealth executive power in Hinton and Williams (ed) The Crown: essays on its manifestations, power and accountability. He is the co-editor and author of the legal publication Summary Justice - South Australia (concerned with summary criminal procedure in South Australia). Listed as a Leading Planning and Environment Lawyer in Doyle’s Guide 2019. Michael Mills was admitted as a barrister and solicitor in the Supreme Court of South Australia in 1975. 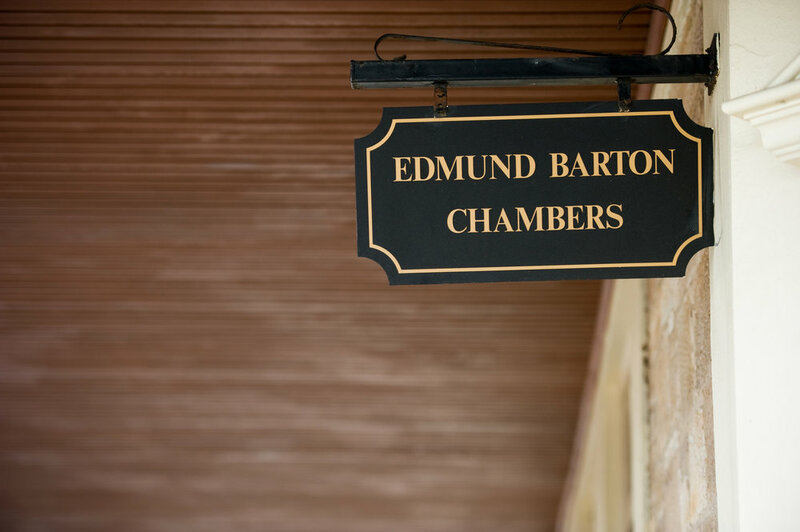 Prior to joining Edmund Barton Chambers in 2005, he was a partner at Ward and Partners for 15 years, including 4 years as Managing Partner, before being appointed Assistant Crown Solicitor, Civil and Commercial litigation for 5 years. He has appeared as counsel in numerous matters in the Magistrates, District, Supreme, Full and High Courts and in various Tribunals including the Administrative Appeals Tribunal, Equal Opportunities Tribunal and Racing Appeals Tribunal. His main areas of practice are Personal Injury Compensation, Medical Negligence, Administrative Law, Public Risk and Child Abuse Claims. He obtained the Institute of Arbitrators and Mediators Practitioner's Certificate in 2006 and has been involved in numerous Mediations as either counsel or Mediator. Between 2003 and 2005 he was the Attorney-General's nominee to the Joint Committee on Reform of the Law and Procedure in Medical Negligence Claims. He has presented papers on various aspects of civil litigation at Law Society CPD Sessions and at the Law Society Country Practitioners Conference. Edward Stratton-Smith was admitted to practice in 2003 and signed the Bar Roll in 2010. Edward has a wide ranging practice encompassing criminal law and general civil litigation, including commercial and contract matters. Before moving to the Bar, Edward worked for the Crown Solicitor’s Office where his practice included criminal prosecutions, employment law and administrative law. Edward was recently appointed a Sessional Ordinary Member of the South Australian Civil and Administrative Tribunal. Mark Taylor joined Edmund Barton Chambers in February 2018 after relocating to South Australia from England. Mark was called to the Bar of England and Wales before he was admitted to the Supreme Court of South Australia in February 2018. Previously, Mark enjoyed a varied practice in London and the South of England. He appeared in the equivalent of the District and Supreme Court in a range of commercial and civil matters and remains particularly interested in resolving probate issues and estate disputes as well as addressing problems involving personal bankruptcy and/or corporate insolvency. Prior to practising law, Mark was an English Teacher in senior management within a challenging inner-city school. Advising executors generally in regard to probate applications and the administration of estates. Striking out a Family Provision claim. Successfully annulling a deliberate bankruptcy utilised in an attempt to frustrate matrimonial proceedings. Lifting the corporate veil in agency, shadow directorship and corporate persona contexts. Various aspects of leasehold instructions, including advising, issuing and defending conveyance-related professional negligence claims. o Accidental backdating of statutory documents. Representing plaintiffs at interlocutory and trial stages in the English equivalent of the District and Supreme Courts and the specialist Technology and Construction Court. Christian Munt has been a member of the independent bar since May 2013. Prior to going to the bar, he occupied the role of In-house Counsel at Donaldson Walsh and also headed up that firm’s Commercial Disputes and Insolvency section for several years. Christian is currently recognised in Doyle’s Guide as recommended Junior Counsel in the areas of Litigation & Dispute Resolution, Insolvency & Reconstruction and Construction Law. He has also been previously recognised in Doyle’s Guide as one of 20 ‘Rising Stars’ nationally, in the categories of Litigation & Dispute Resolution and Insolvency & Reconstruction. Counsel for a wine company in a debt claim, and in the defence of a counterclaim for alleged breach of a distribution agreement, in the Magistrates Court and in an appeal to the Supreme Court. The client was successful on all issues and obtained an order for indemnity costs: Sante Wines Pty Ltd v Paxton Wines Pty Ltd  SASC 104. Counsel for a director in a Federal Court action against another director, ex-employees and a competing business established by the ex-employees, in which search and seizure orders were obtained against the respondents and a claim for breach of director’s/fiduciary duty, oppressive conduct and breach of confidence was settled at mediation on favourable terms. Counsel for a former director of a financial planning company in a Federal Court claim for breach of trust and fiduciary duty and oppressive conduct. Counsel in the successful defence at trial of a complex claim in the Magistrates Court for an alleged ineffective termination of a lease due to alleged misleading or deceptive and unconscionable conduct, estoppel and/or relief under the Retail and Commercial Leases Act. Costs orders were obtained against directors of the plaintiff company as non-parties to the action, on a solicitor and client basis. Counsel for a plaintiff in a quantum meruit building claim in the District Court, and in defence of a counterclaim for allegedly defective building work. Counsel for a building work contractor in the successful defence at trial of a claim of defective building work in the Magistrates Court. The plaintiffs were found to have unreasonably demolished the works performed by the building contractor client and an order for solicitor and client costs was obtained in favour of the client. Solicitor and counsel in the successful defence of a substantial misleading and deceptive conduct claim in the Federal Court: Rawley Pty Ltd v Bell (No 2)  FCA 583. Pampered Paws Connection Pty Ltd v Pets Paradise Franchising (Qld) Pty Ltd (No 11)  FCA 241. Junior counsel in a Supreme Court claim involving multiple causes of action in relation to a complex property joint venture arrangement. Junior counsel in a Supreme Court appeal, acting for a shopping centre owner in a relation to a claim against a guarantor for unpaid rent and outgoings. Solicitor and counsel for a leading national franchisor in a Federal Court claim regarding breaches of a Master Franchise Agreement, trademark breaches, passing off, misleading or deceptive conduct and breaches of fiduciary duty, which settled on favourable terms. Solicitor and counsel for a former Member of Parliament in an encroachment dispute, in which the client was successful at trial (and in an appeal, before the Full Court of the Supreme Court, on the question of the costs of the trial: Ciccarello v Bunton  SASCFC 34). Counsel for executors and beneficiaries in various claims under the Inheritance (Family Provision) Act. Counsel advising in relation to property, business, company and trust structures and issues in family law property settlement proceedings and in assisting with documenting complex property settlement consent orders. Marita Pangallo was admitted to practise in 2009 and joined Edmund Barton Chambers in 2018. Practising law for over 8 years, Marita has particular interest and expertise in Trusts and Equity, Wills and Estates, Family Provision claims, Business Succession, Commercial Litigation, Real Property, Corporations Law, State Taxation and Family Law. Marita enjoys using her commercial skills to assist on complex family law matters, particularly those involving family businesses or trust structures. Before moving to the Bar, Marita worked for a series of boutique commercial law firms, where her practise also included Corporate Insolvency, Corporate Advisory and Employment Law. Marita is a member of the South Australian Bar Association, Law Society of South Australia, Law Council of Australia – Family Law Section and Women Lawyers’ Association of South Australia.